I received my ThinkPad X1 Yoga 7 months ago in March. I have been actively using it every day for work and fun since that time. 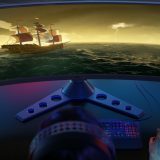 This article talks about my experience with this computer. 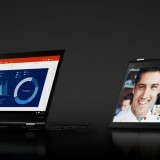 The ThinkPad X1 Yoga is the best computer I could have hoped to get – and I still feel this way after having used it for 7 months. I wanted something that is powerful and yet thin and light and I could carry it with me. 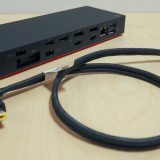 Great for coding with two large displays at work, and also for reading web sites, taking notes or just watching videos or listening to music. I explored this subject previously, but I want to reiterate it. I was for years looking for a computer that would answer my duality of needs. On one hand, I need a very powerful machine, because I do software development, I need lots of RAM and a good CPU to have my work done. But I also like to take notes on my computer, do presentations, or just sit on the couch and browse the web, and it is no fun taking a heavy computer with me. When I do something light like reading or note taking I don’t need the computer to be acting like a powerful vacuum cleaner (the sound) or heat source. Previously this dilemma was solved by having multiple computers. One would be for work, but even if it was a notebook it would sit on my desk. Then I would have something smaller, possibly thiner and lighter. I was looking at the X1 line before, but not before the X1 Yoga came along did I decide to take a closer look – and dedicate myself to it for the next couple of years. I usually aim to keep my main system for at least 3 years. So in March I finally received the X1 Yoga. I was a little afraid to order it right away as it was available – new technology toys tend to have some problems that get fixed as time goes by. There were some initial problems with the X1 Yoga. I wrote about this in my ThinkPad X1 Yoga review or published something about it (4K video problems). These problems have been solved in the recent month, and I have been using the X1Y problem free for the last 4-5 months already. The Anniversary Update for Windows 10 also made the last problems go away (although those were with Windows and not strictly with the machine itself). Update the BIOS (current BIOS here) and video drivers (current one here), at least. There are a lot of things I like about the X1 Yoga. I will try to talk about a few of them that I think will help others if they are looking at this machine. 3 usb ports – this has become very useful on multiple occasions when I was away from my docking station. Two USB ports would just not have been enough. I could have cut down one port by using bluetooth accessories, but you are not always in the position to be able to just magically make a bluetooth accessory appear. 2 display outs – the Yoga has both an HDMI and a Mini DisplayPort output. While I have a few dongles to help me out, it is still very nice to have both in case I leave my dongles at home. Yoga modes – I really like the Yoga modes. 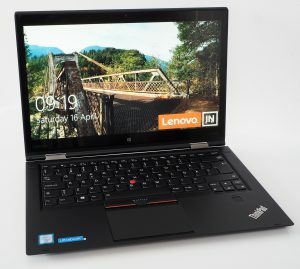 I have written about using Yoga modes on other machines, but the same applies to the X1 Yoga as well. Having used the notebook for 7 months I think I got a more realistic battery life experience. I get about 5-6 hours of battery life when I am not docked with the computer. This is doing anything but software development (writing in Word, browsing the web, etc). If I also present (that is the notebook is driving another display as well), this drops to about 4-5 hours. If I use something intensive, like coding in Visual Studio, batter life will be about 3-5 hours. On the other hand if I just write something in OneNote I get 6-9 hours. Sitting in a meeting and taking notes could go on all day without the need to get power, even with occasional web browsing. All in all, I would not mind a few hours more, but this is enough for me to not fear running out of power all the time. Although this section will be the longest, please don’t let this scare you: the X1 Yoga is an exceptionally good machine. But nothing is without faults, and I do miss some things from even the X1 Yoga. 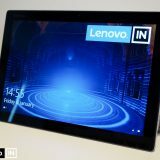 I would guess Lenovo will be addressing some of these issues in the next iteration – as fas as I know, the X1 line has exceeded their expectations, so I would say there will be more iterations to come (keeping my fingers crossed). 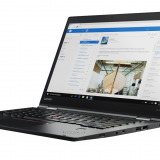 Nothing is certain of course — keep an eye on CES 2017 for new ThinkPad models. Here is my short list of changes I would like. I will talk about these in length after the list. 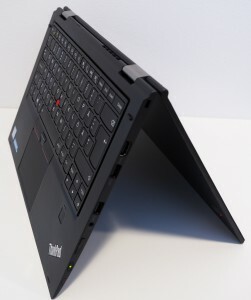 I find the X1 Yoga hinge a little bit too soft, and would prefer it be more stiff, especially when closing the system. If you compare the hinge to that of the YOGA 900, that holds the notebook closed even if you turn the system upside down. Turn the X1 Yoga even on the side, and it will open a little bit and wobble there. (I tested this on another X1 Yoga as well, not just mine). In general use the hinge is stiff enough, and it did not get looser during my 7 months of usage. It just wobbles a little if the notebook is open and the table is shaken, for example. Again, the YOGA 900 is stiffer in this regard as well. 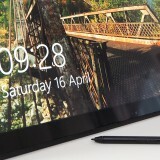 When I put the X1 Yoga into tablet mode, the only thing that keeps the tablet mode closed is gravity or your hands. Again, on the YOGA 900, there are neat magnets that will make sure the tablet mode is more stable by lightly “locking” the display and base back sides together. Excuse me for again comparing to the YOGA 900, but … the YOGA 900 has rubberized edges on the front side. This means that when opening the notebook into tent mode, the edges that make contact with the surface (table) stick there. The X1 Yoga has the same carbon fiber finish all over, and it is slippery. Combined with the not so stiff hinge, tent mode is more unstable than on the YOGA 900. It does stay in tent mode, but it just doesn’t feel that great. When putting the system to sleep I often select the sleep option from Start. The display goes blank, but I do not know if it is sleeping unless I look at the back of the lid (with the red led in the ThinkPad label) or the side (with the power button). The inside of the notebook lacks a power on indicator! This is a little disturbing, and I wish there would be (a third) indicator on the inside. Maybe the ThinkPad text in the palmrest could get the glowing dot on the i letter? Sometimes I open the laptop and press the power button, and then wait. And I am unsure did I really press it or not – by looking at the side or back indicator, I can know if the system just waiting or did it just not power on. But there is no indicator on the inside. I miss a button to lock the rotation. I think there would be room on the sides for such a button or maybe a tiny switch. When using in tablet mode I often miss a button for this. The SD card reader is behind a little cover that I find hard to open. 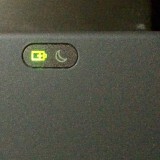 I understand having the SIM card behind that, because usually I don’t want to change the SIM card every day. But when I have multiple SD cards I want to work with, the SD card slot does not feel like a great place. Hi Lenard, great article! 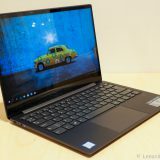 I think Lenovo has already addressed the hinge issue, so I wanted to give you a report regarding my X1 Yoga. I received it in early September of this year and when I got it I thought the hinge was actually too stiff! To open the laptop, you feel like you are really prying it apart – it takes considerable force. Once open in any position there is absolutely no wobble whatsoever. This also solves the problem of magnets in tablet mode. There is no hint that the notebook won’t stay in that position. I will say that while I thought it was too stiff to begin with, I have now gotten used to it. And I agree with you on your praises….best Laptop I have ever owned! Thanks Jay! Good to hear about the hinge. I wonder if early adopters can get a replacement under warranty? 🙂 Will need to find out. 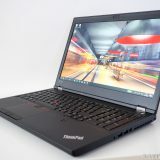 I’m in the market for a new piece of hardware, and have narrowed it down to the x1 yoga and carbon. My question is, have you had any issues with the display/scaling of programs that you use on the WQHD display itself? I understand that connecting the laptop to an external display will/may cause issues, but what I’m asking is the laptop itself. The bulk of my use will be surfing the web (including youtube) and using Microsoft Office programs, and the occasional Adobe Lightroom/Photoshop – do you know if these programs suffer from scaling issues? I have a dedicated desktop for intense-use, so battery life is something I’m trying to prioritise for this laptop, and hence my dilemma in choosing the FHD or WQHD option. I’m willing to sacrifice an hour of battery life for a nicer display, but do not want to run into any issues due to scaling. I do not have any precise measurements, but the FHD vs WQHD should mean about 30 minutes of battery life (FHD being the longer battery life). As for scaling. The problems when connecting external displays is just that if you use different scaling on the external displays than on the notebook screen, the scaling does not switch over without issues to the new scaling. Some things work, but not everything. A simple logoff/logon solves this problem though. And it is a very small problem, I usually do not even bother to logoff/logon, just use the computer/displays as they are. There are some programs that do not implement scaling that well. But none of what you bring up are on that list 🙂 I use Microsoft Office and Lightroom and Photoshop Elements, and all scale without problems (at least the latest versions do). I remember seeing some dreadful small dialog in Office 2013, but it was not a common dialog, so I wouldn’t think tat as a problem either. Other than this, I have not had any serious problems with scaling. So if scaling is your only issue, and you can accept the battery life drop, go ahead with WQHD! Great posts – both your initial review and the follow-up. As a professor, I annotate very regularly and decided on the X1 Yoga based on specs and the ability to write-on-screen. I am, however, finding that the onelink+ dock doesn’t play very well with this machine. Having gone through two docks now, both with updated drivers, it seems as they are quite fragile overall. Have you had any issues with the X1 Yoga and the dock? Secondly, I was forced to change my OS to Windows Pro, as it uses bitlocker (a service I’m required to have). With this “upgrade”, I’ve found that when I increase the display brightness past 90%, my OLED screen turns a bright blue, and then the backlight turns off. The contents of the screen remain visible, albeit without a backlight. I’m wondering if you’ve come across any others with this issue. 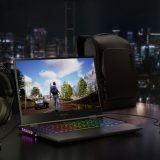 One last thing: what case/sleeve are you using with your machine? Any suggestions on what to buy? Again, thanks for your thoughts on this brilliant machine — I too agree that this machine works quite well, and am thankful that there is a community of users who are frank with their thoughts on it. I have two OneLink+ docks, and since I updated their firmware and the driver on the notebook (two separate updates!) I have not had any issues with them, I connect to them, disconnect to them, without problems. What kind of issues are you seeing? And what do you mean, fragile? Concerning the OLED issue I cannot really comment on that, because I myself have a WQHD screen that is not OLED. 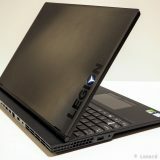 You could post your question on http://forums.lenovo.com to see if anyone else has this problem. 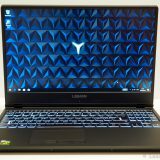 While it is perhaps not official support, Lenovo employees do read those forums as well, and a lot of very knowledgeable people as well! I bought myself the ThinkPad X1 Ultra Sleeve from Lenovo. I have used it for many months now, and I will be reviewing it very shortly here on my blog. But I can already tell you that I do recommend that, it is a great protection for the notebook and looks very professional! My case review and pictures is up, in case you are still interested.